Home/Tutorials/What is a Tree Plot? A tree plot is a common area where whitetails and other wildlife go to eat. Whether it be hard or soft mast, a planted orchard or grove of fruit trees provides a nutritional hotspot for whitetails to frequent for decades. 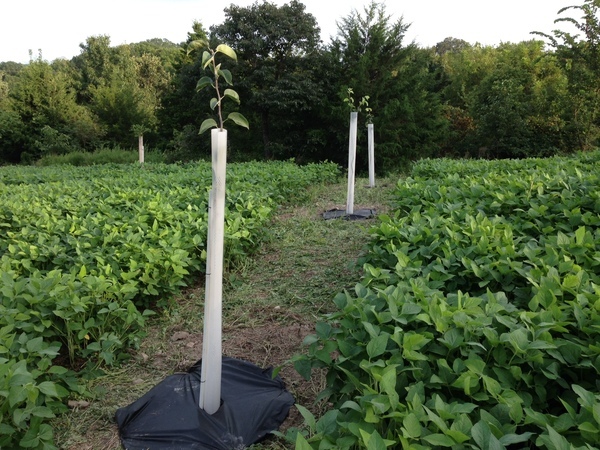 Tree plots provide a low maintenance, long-term food source, and add property value for generations to come. Flatwood Natives provides a variety of soft and hard mast tree packages that are individually designed to meet the land owner’s needs based on hardiness zone, sunlight requirements, soil type and pH, hydrologic conditions, topography and terrain, spacing requirements, and naturally occurring dominant tree species. Flatwood Natives can help plan the perfect tree plot location and provide high-quality trees for hunting success.